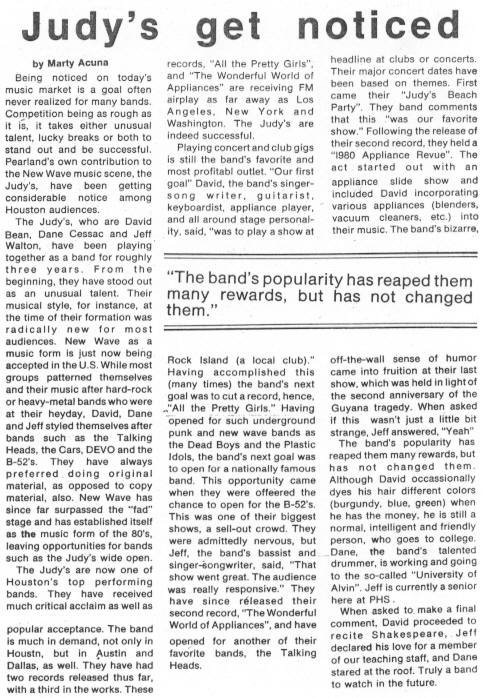 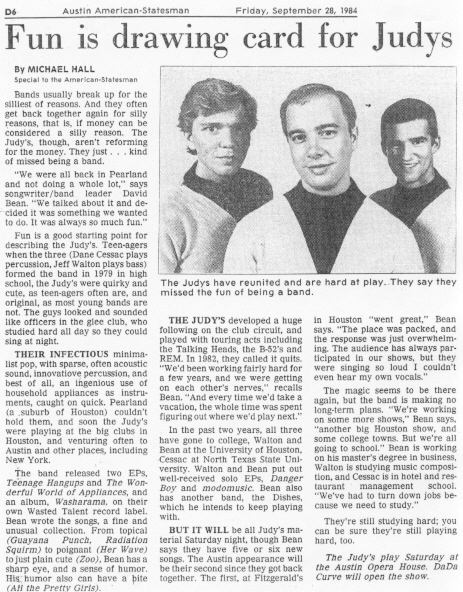 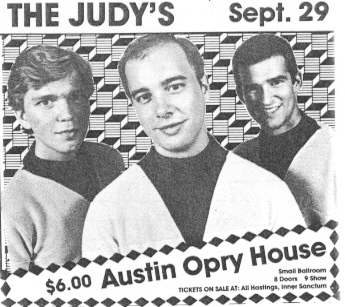 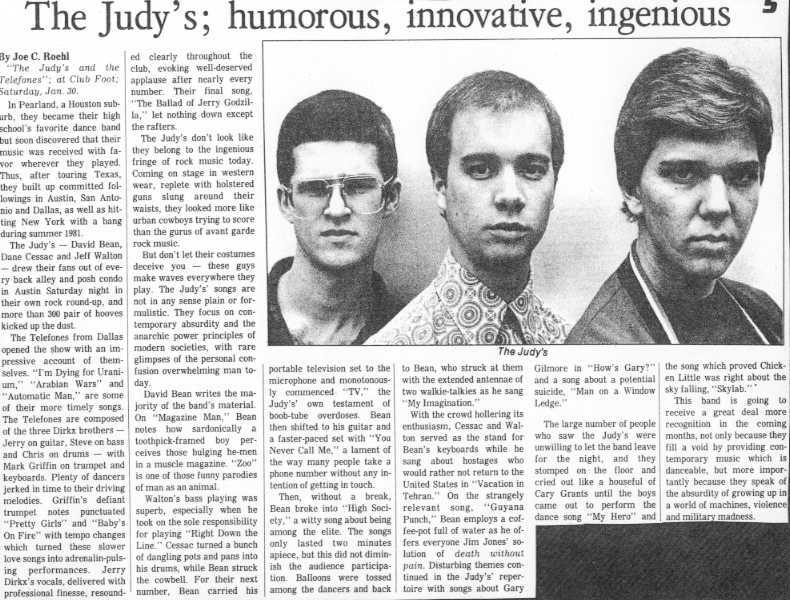 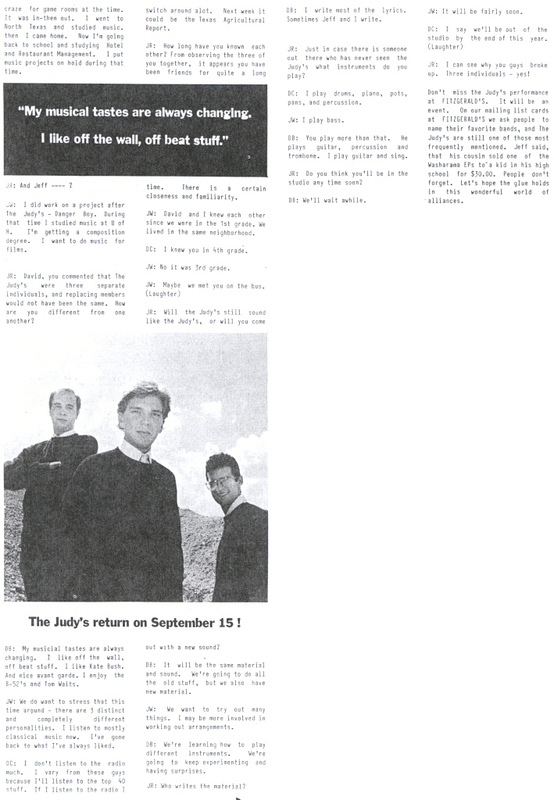 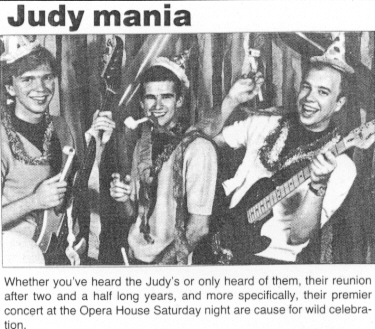 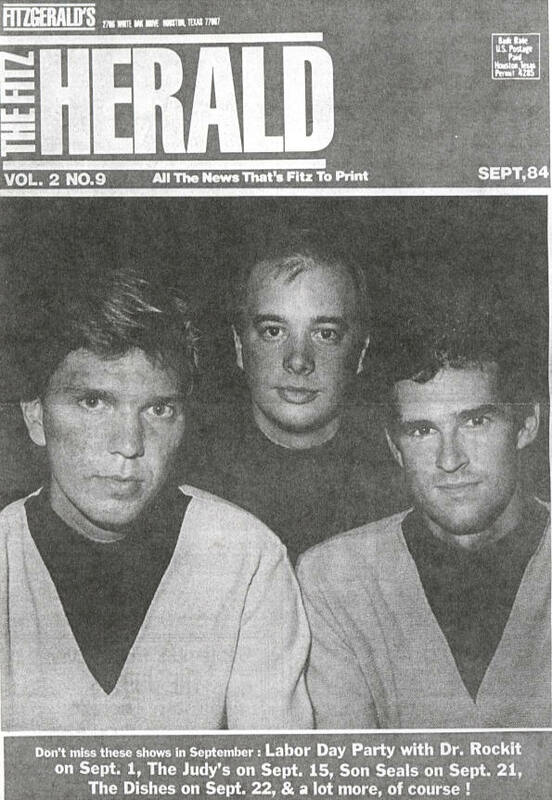 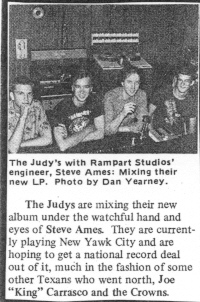 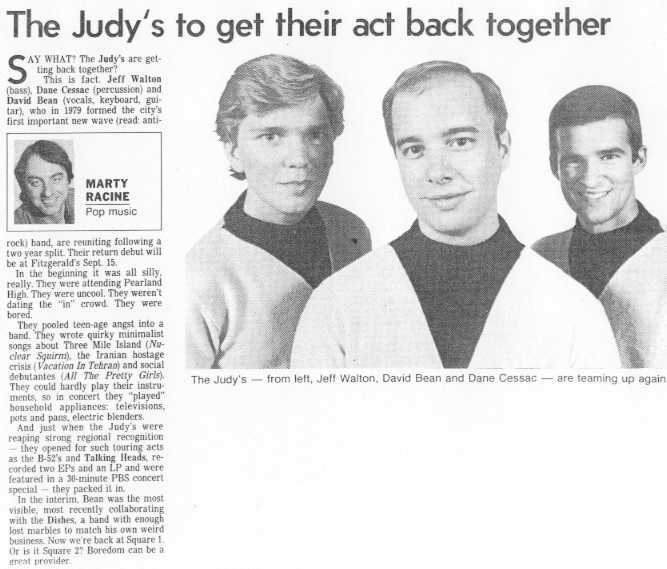 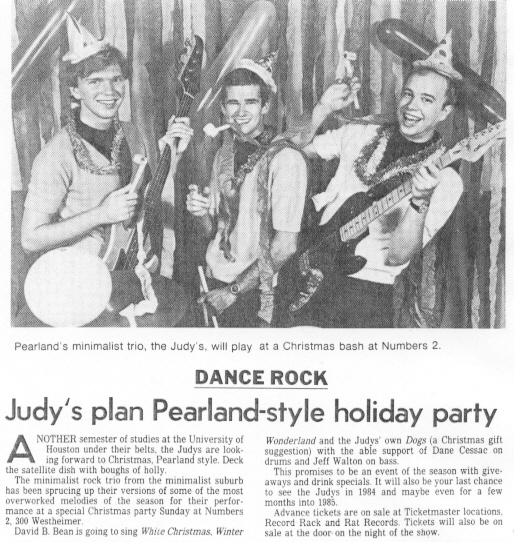 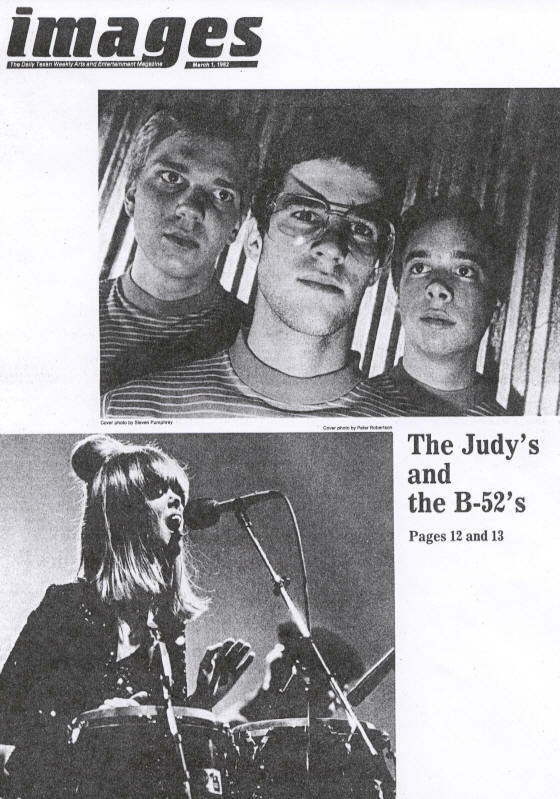 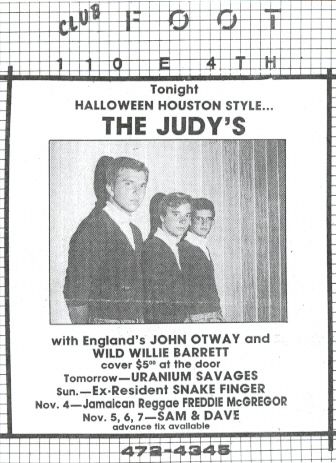 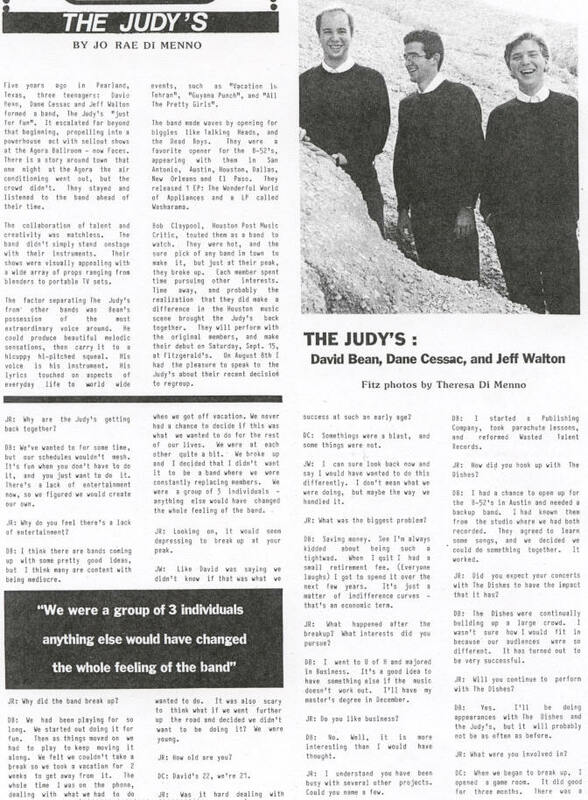 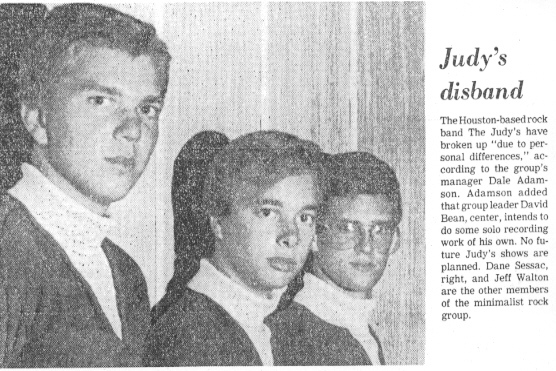 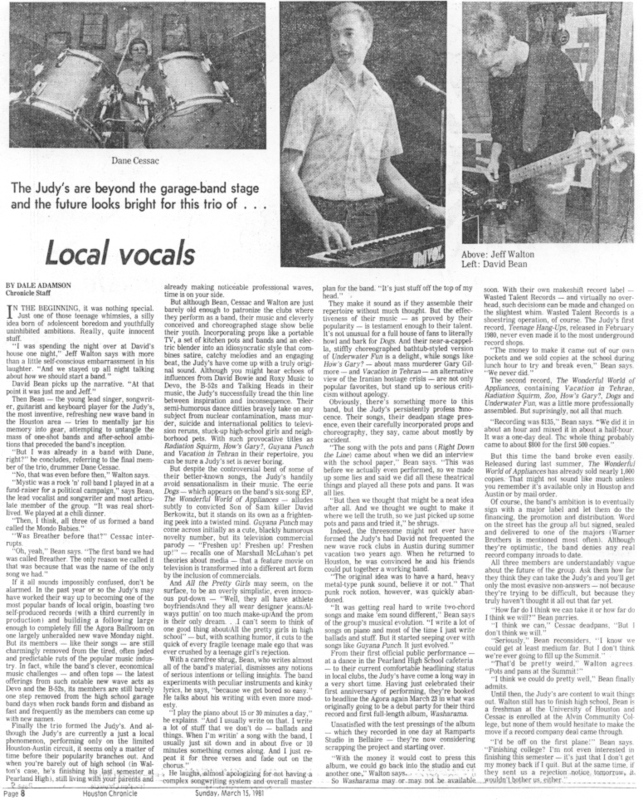 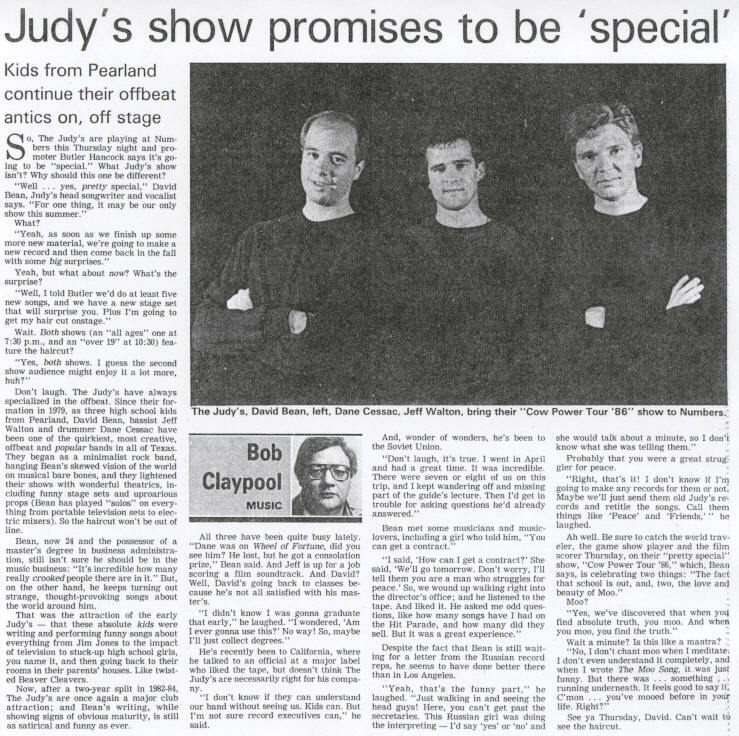 Write up from the Pearland High School Pipeline on 10-17-79 featured the four members of "The Jets." 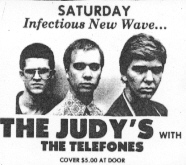 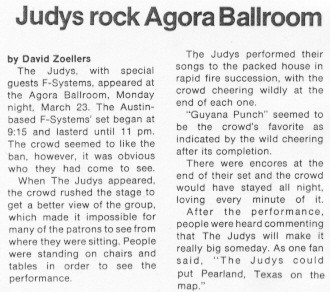 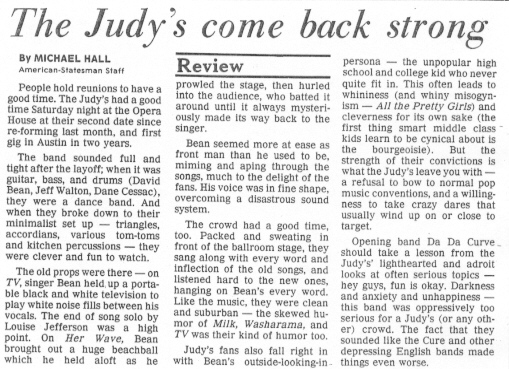 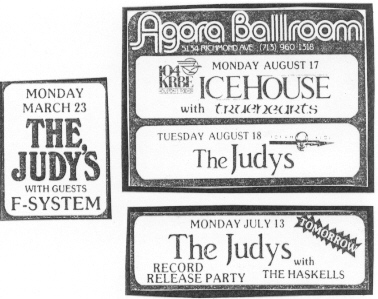 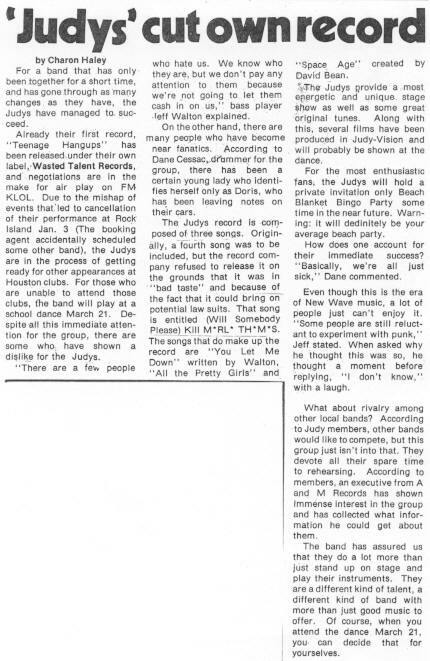 Another clip from the Pipeline dated 3-14-80. 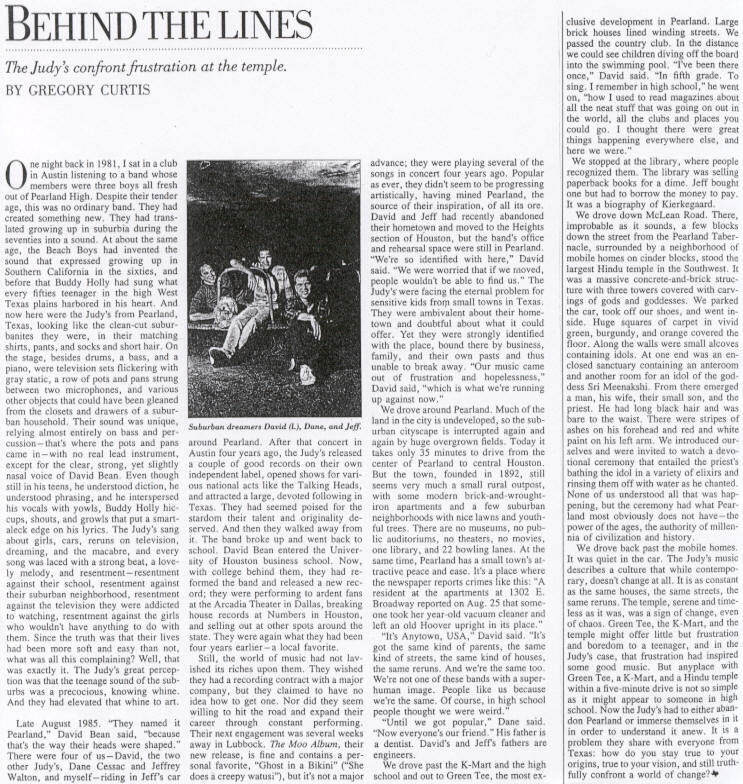 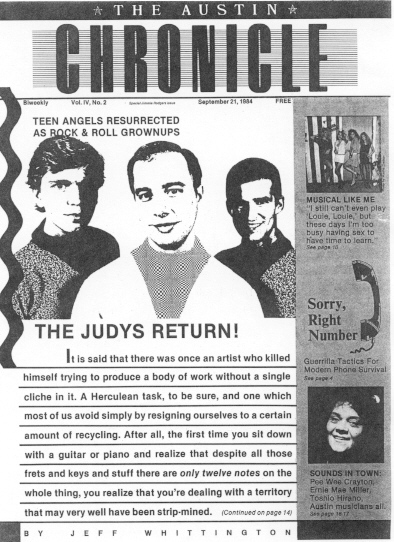 "Teenage Hang-Ups" was released. 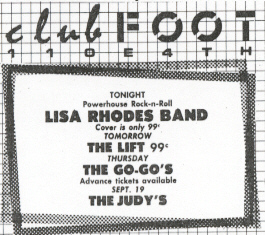 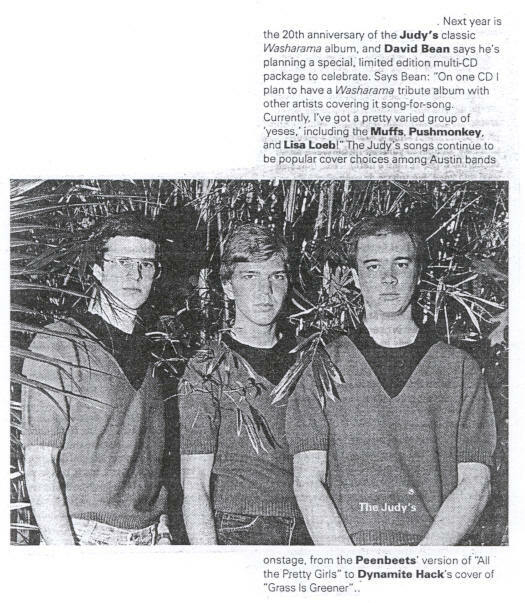 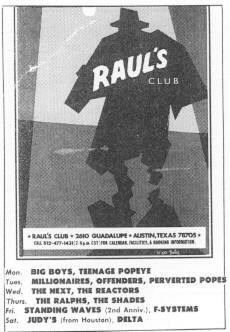 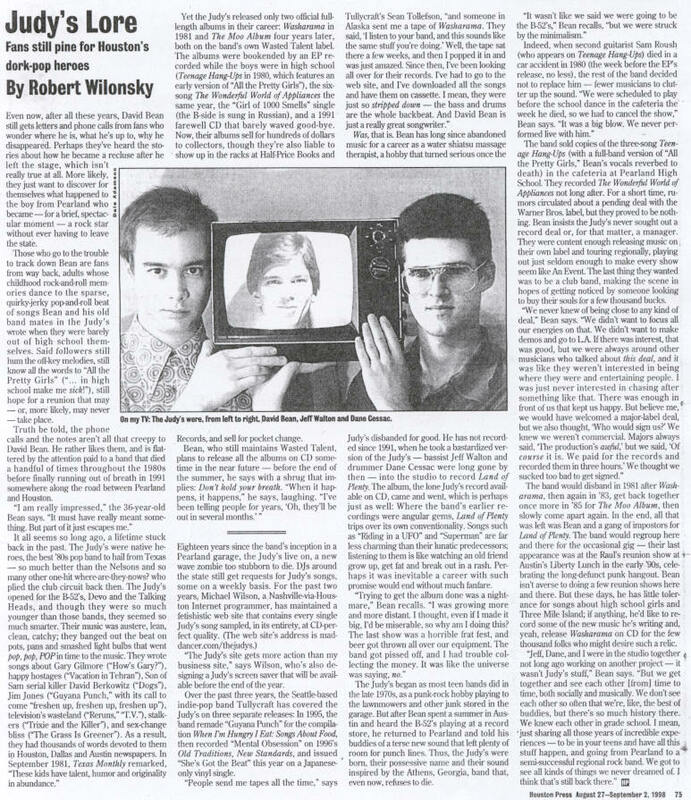 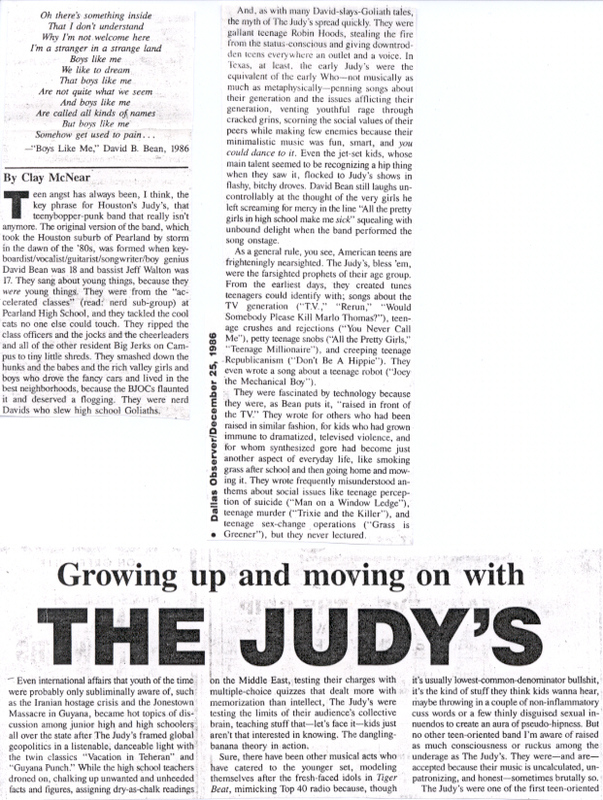 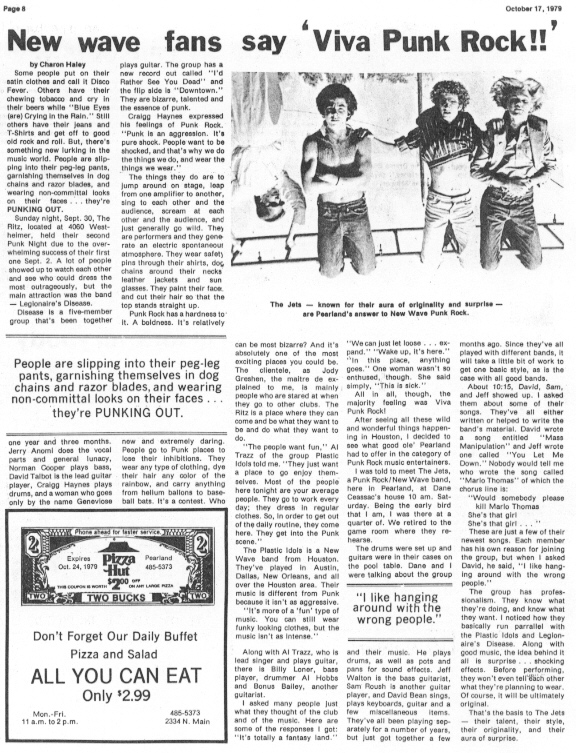 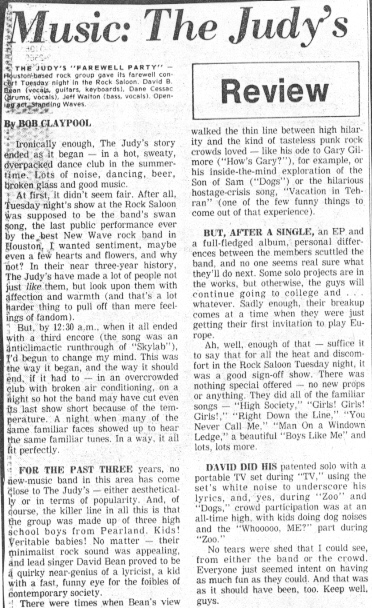 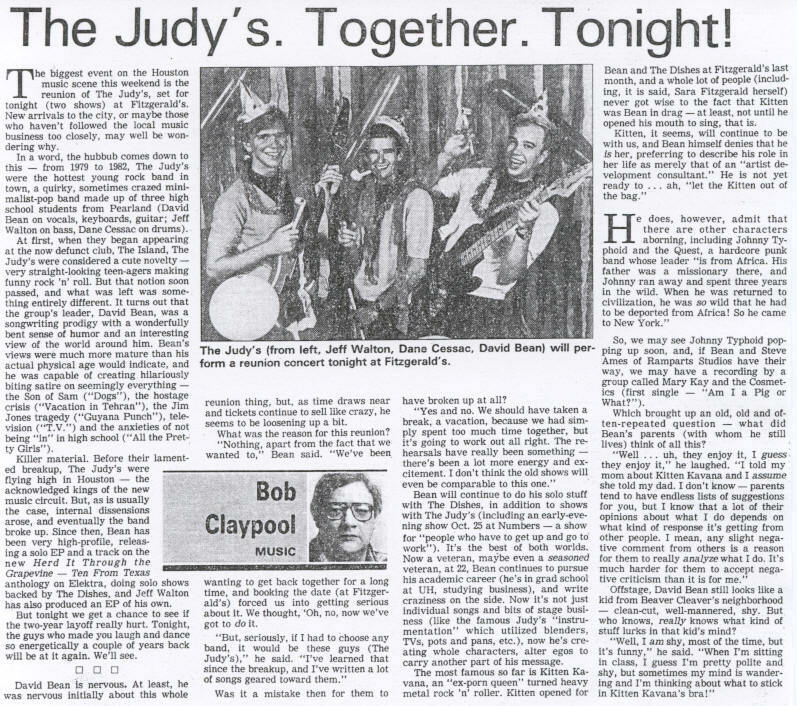 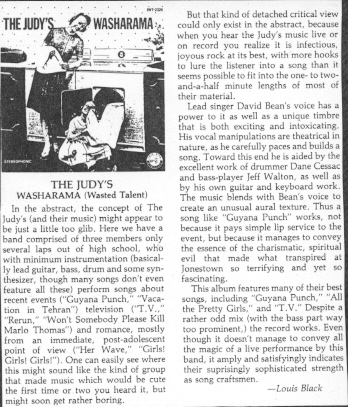 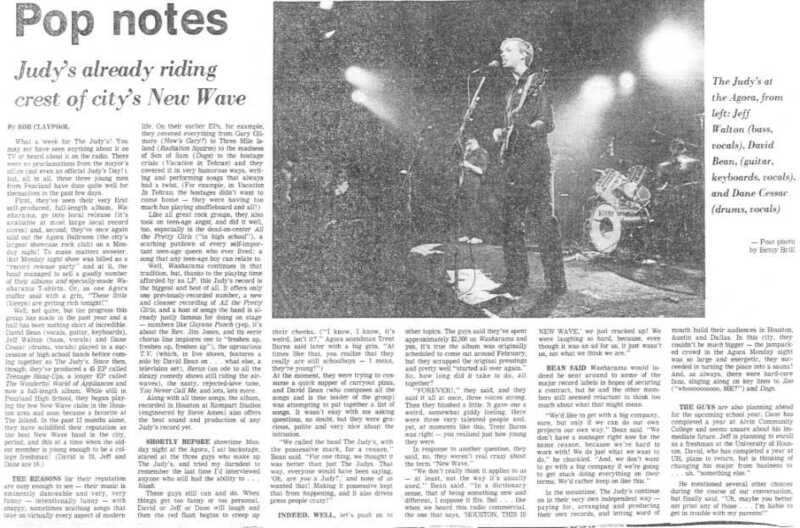 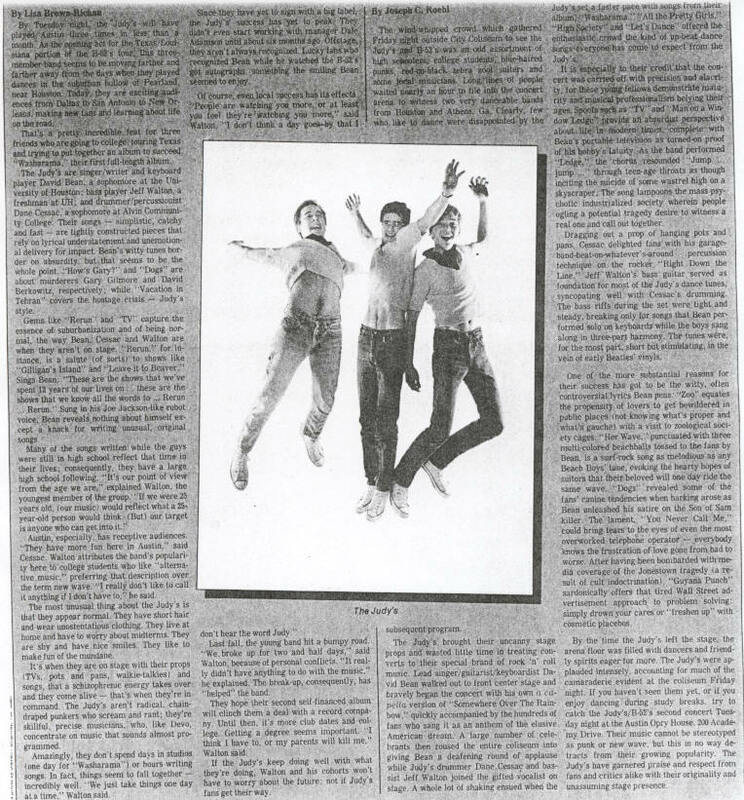 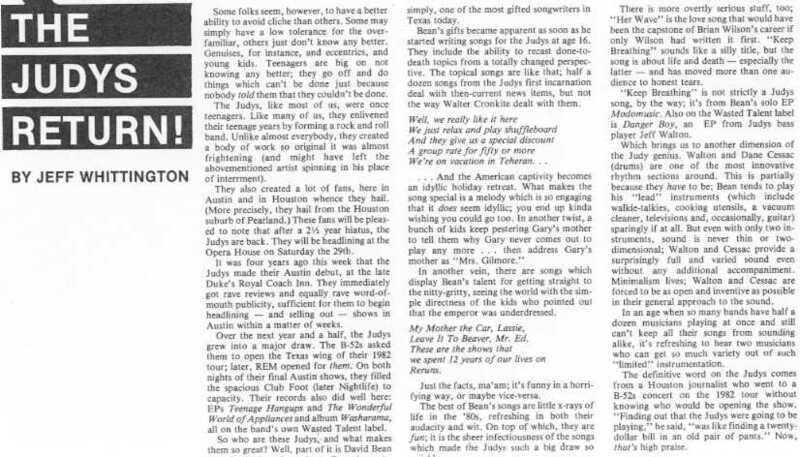 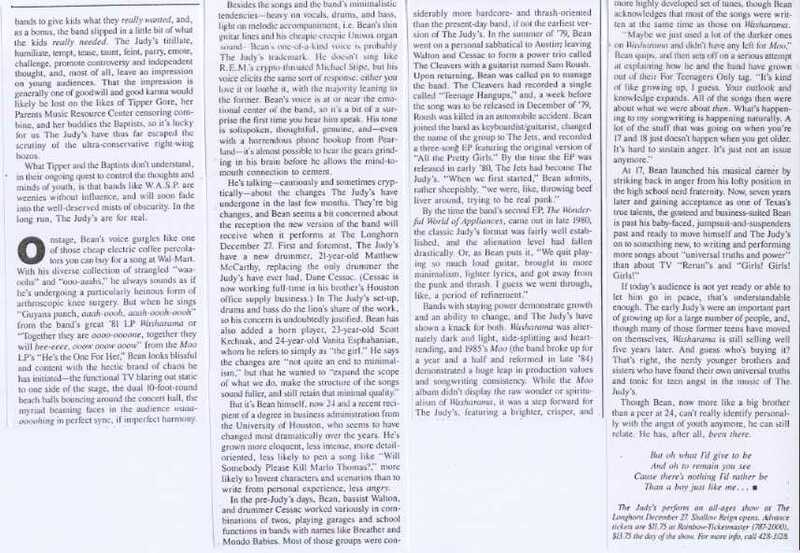 "Washarama" LP review from the first issue of the Austin Chronicle on 9-4-81.